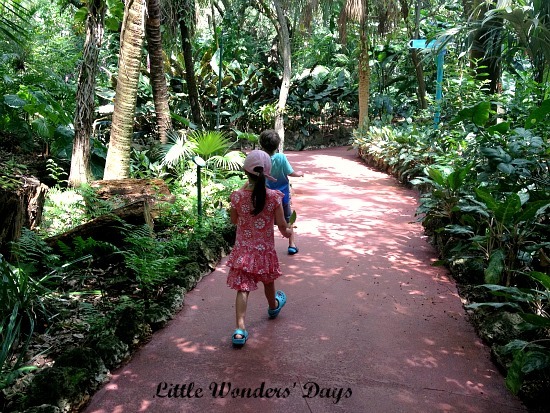 The kids and I are in Florida right now, so it’s perfect that today we are visiting Miami, Florida with Kelly of Little Wonders’ Days! Kelly is a stay at home mom who raising 3 young children in the south (an 8 year old son, and 5 year old boy/girl twins). 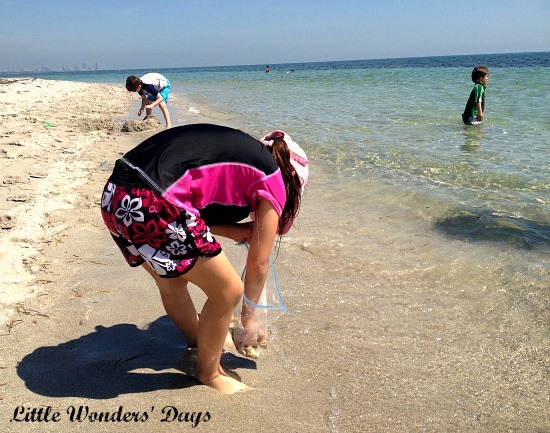 She and her children enjoy arts and crafts, cooking, conducting science experiments, and just general family fun. 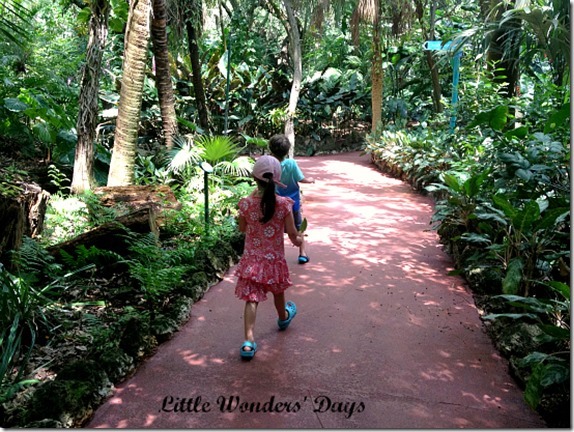 Little Wonders’ Days is a host of the After School Link Up. Drop by Kelly’s blog and read these three fun posts: Party Prop Box, Rainbow Shaving Cream Painting, and Making a Sensory Garden with Kids! We recently returned from our spring break trip in Miami. I spent a few years living there as a teenager and my mother and stepfather (Nana and Papa) still live there. We love to visit! Latin culture influences so much of the city, anything from the language, color of the buildings (my kids call Nana and Papa’s house “The pink house”), and the food. Ooooh the delicious food. 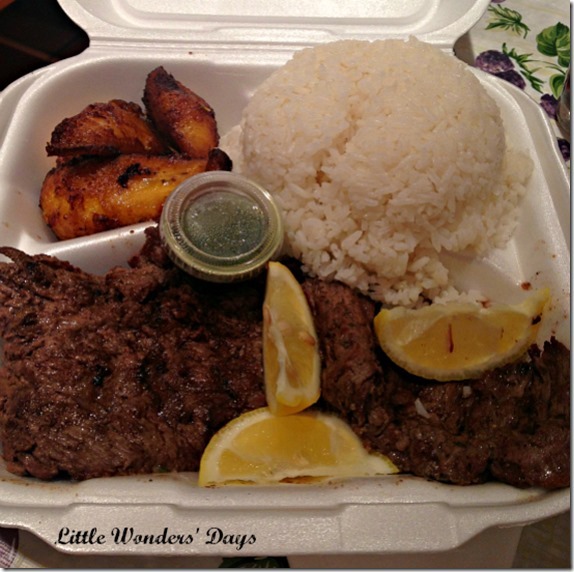 My favorite dinner is churrasco steak with chimichurri sauce, frijoles negros (black beans and rice), platanos maduros (sweet plantains) finished off with some flan and a cortadito (a Cuban espresso). The kids like the plantains and rice the best. This is the list of places we visited this trip, but I’ll also include a list of places we hit on our last trip. 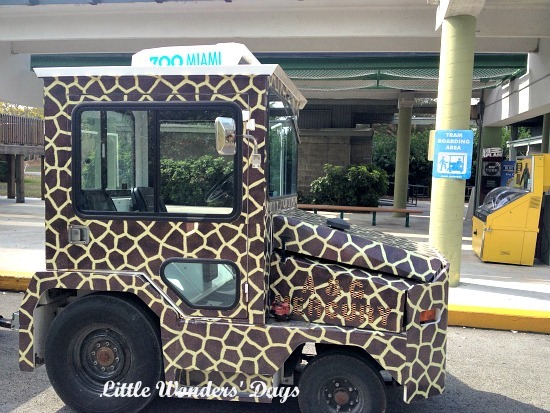 All are great for kids and lower in cost than a lot of touristy places in Miami. 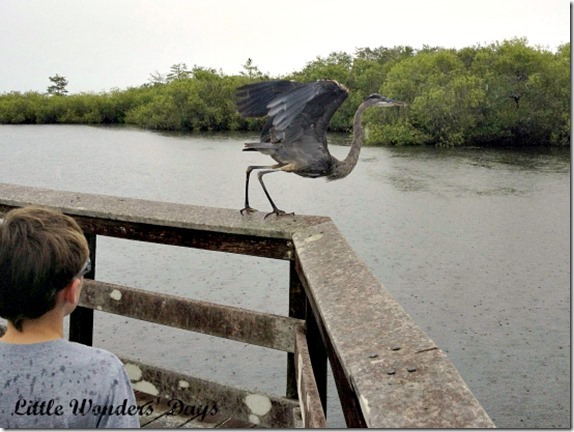 One place you just can’t miss, in my opinion, is Everglades National Park. There is no place like it on earth. If you go, stop by the visitor’s center first. 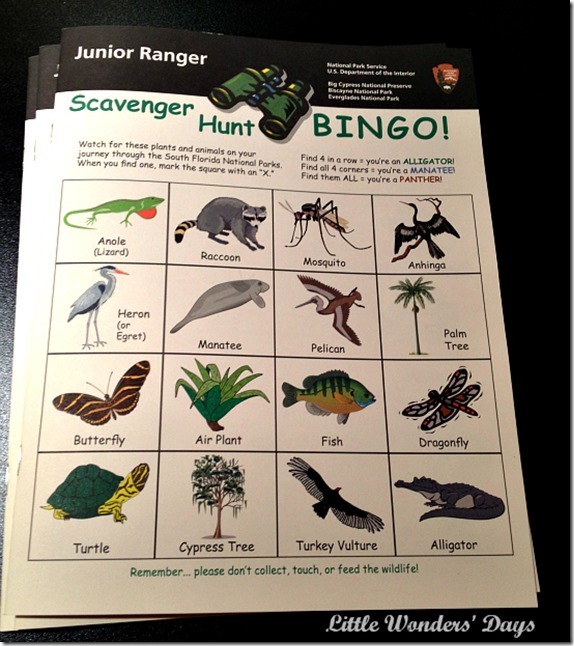 You can pick up a park map, get Junior Ranger Guides, and tour the museum. We also stopped by the gift shop and picked up a few books and an Everglades Wildlife Pocket Guide. The guide came in handy when trying to identify the many birds we saw. Anhinga drying its wings. The anhinga has webbed feet and dives to find fish to eat. It spreads its wings to dry them afterward. It is said that there are two seasons in the Everglades, dry and wet. 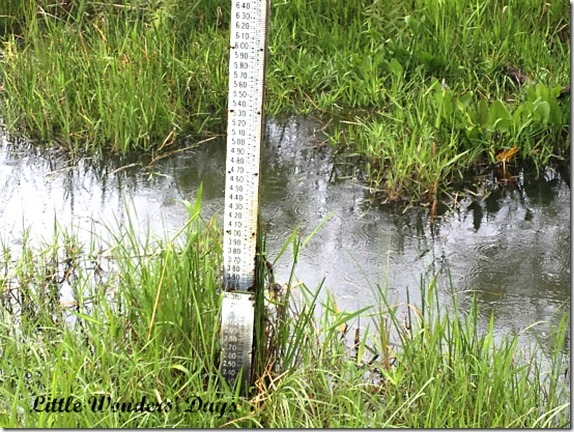 The wet season starts in May and runs through hurricane season. During the dry season, migratory birds come to nest and other animals are forced into smaller areas to find water and food. 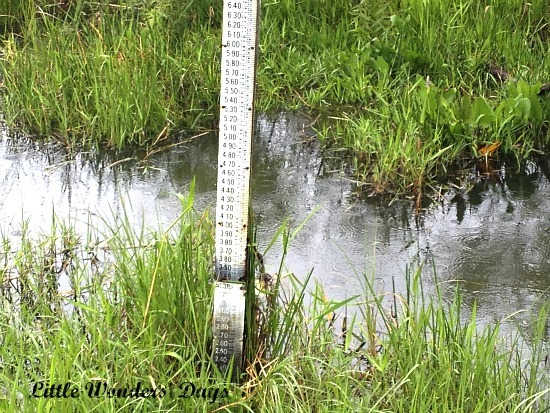 It also means cooler temperatures and fewer mosquitoes! We have been to the Everglades many times before, but this was the first time that we encountered Vultures. These Vultures have started attacking parked cars trying to pull the windshield wipers and other pieces of rubber off of them. We had to cover our car with a tarp. I wouldn’t have believed it if I hadn’t seen them trying to attack one of the cars in the lot. 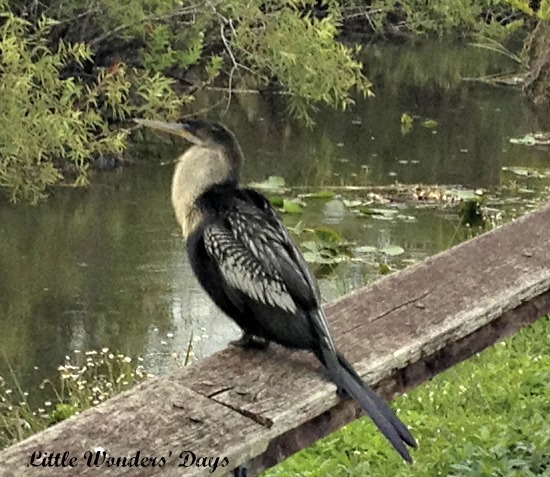 Little J watching a Heron take flight. 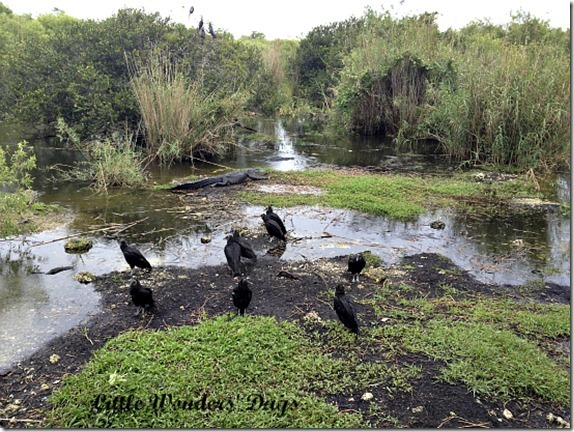 It was overcast and slightly drizzly the day we visited, but there were so many birds, alligators, and turtles to see! It really was a great experience for us. 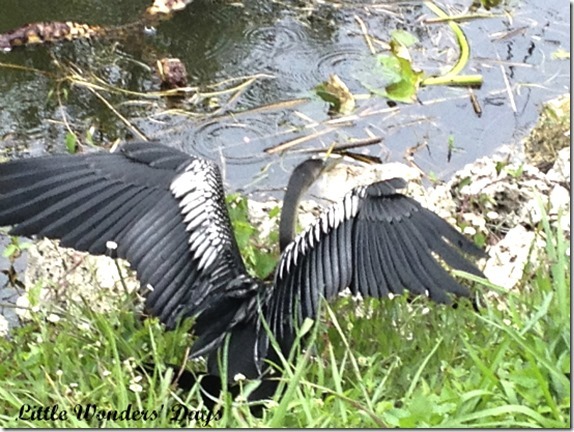 We walked Anhinga Trail and Gumbo Limbo Trail. A couple of other birds we saw that aren’t pictured were a Purple Gallinule, a Red-winged Blackbird, and a Great Egret. 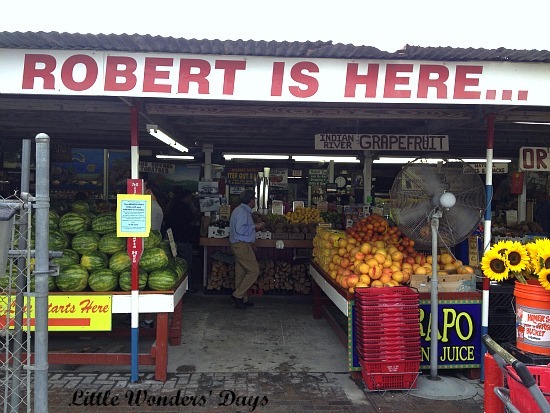 After leaving the park, it was a short drive to Robert Is Here, an infamous fruit stand with to die for key lime milkshakes as well as amazing tropical fruit. 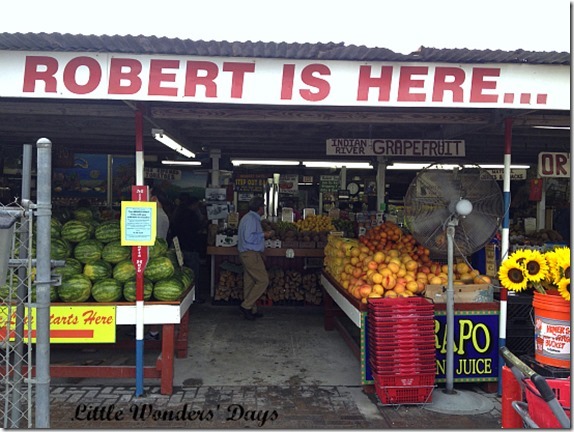 The last time we were in Miami, the kids each picked a fruit to bring home for a tasting. Thank you, Kelly, for this post! What an amazing place to visit! Thanks for having me MaryAnne! Have a wonderful time in Florida. Thank you, Kelly! 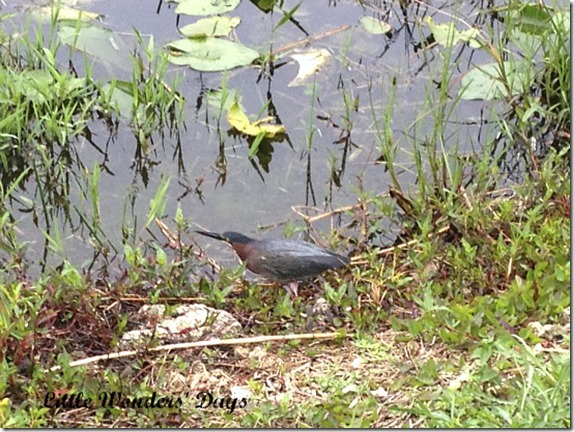 We are in the panhandle instead of Miami, but we already saw a couple of the birds you wrote about in this post! 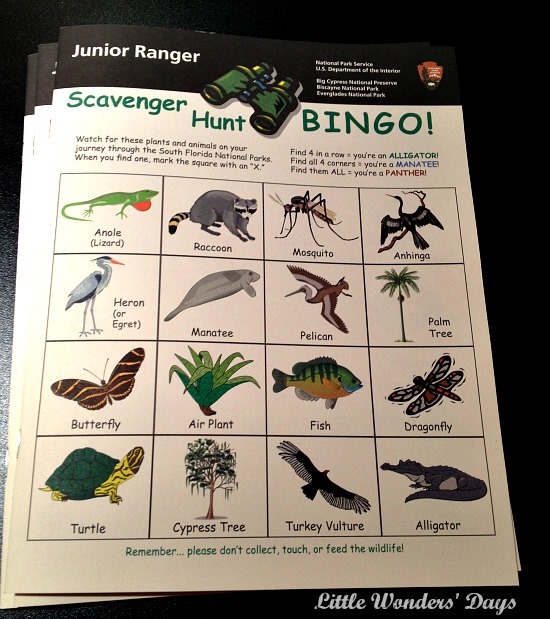 I love Junior Ranger guides, I have to agree they are some of the coolest things. Looks like a great place to visit! I don’t like vultures. Can’t believe they attack cars! So vibrant! Love it! I enjoyed visiting a friend in Tampa but haven’t made it to Miami yet. 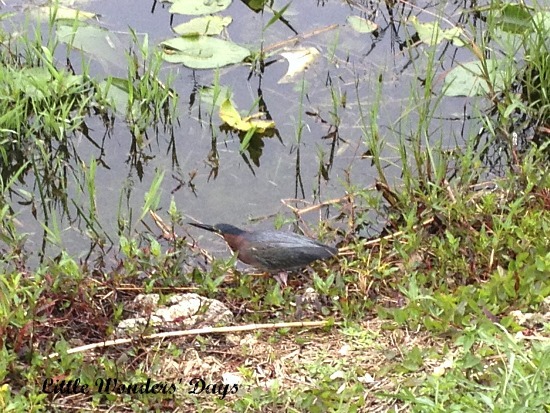 I’m very interested in seeing the Everglades after reading this post! 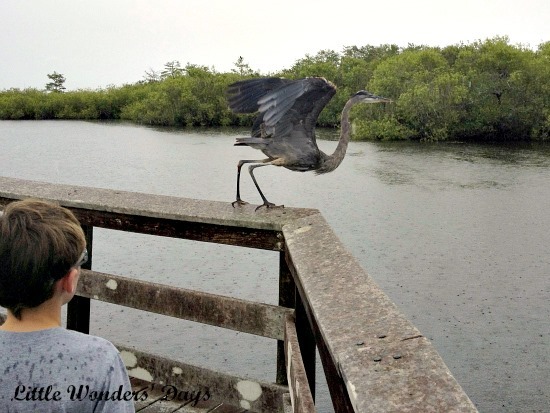 Silly question for Kelly – did you have to bring your own tarp to cover your car at the Everglades, or does the park supply them while you’re visiting? Fortunately, no we didn’t have to bring a tarp. The park had a big bin of tarps and bungee cords. However, if it had been a busy day, there weren’t enough for everyone. I seriously wouldn’t have believed vultures would attack cars if I hadn’t seen it for myself. So weird! Awesome, awesome! I think I could eat that whole plate of food even though it’s technically still breakfast. I love Miami, too, but it’s been years since I’ve been there. Great post! Have fun in Florida. My kids went to Fort Myers with their grandparents this week, and we are going to Disney in October. We love Florida! 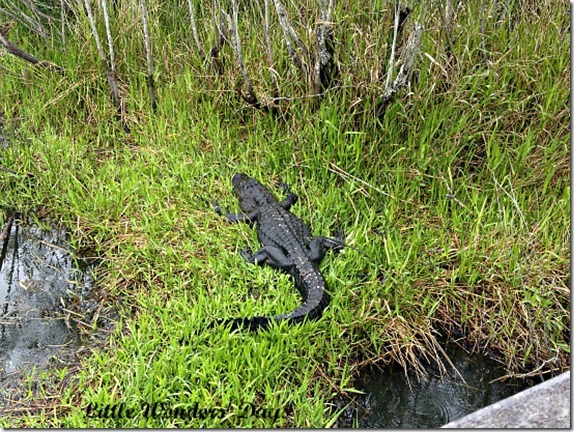 Everglades National Park looks wonderful – I love your photos and I would really like to try your favorite dinner! 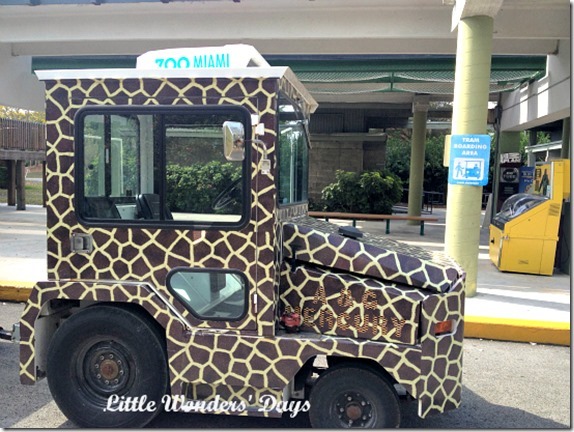 Miami is on my list of cities I want to visit with the kids! Looks wonderful! 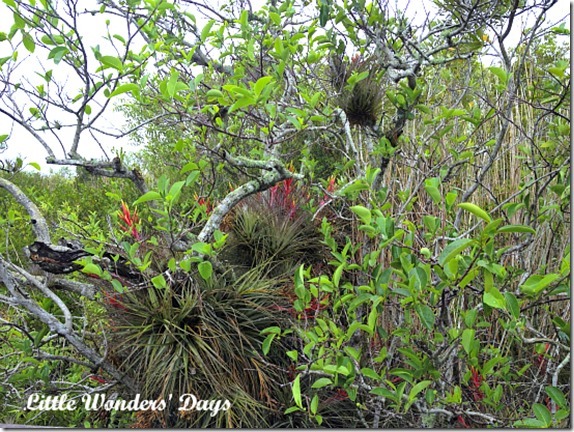 I really want to see the everglades some day! Next time we are in Florida I definitely want to check out the Everglades National Park! 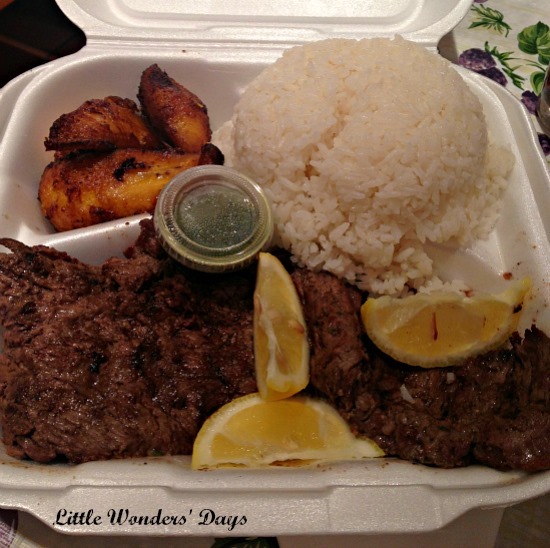 Also the Cuban food looks SO yummy!